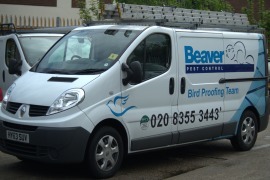 We definitely feel like the best pest control company now. After several years of being finalists we finally WON not one but two Wandsworth awards !! It was an amazing feeling to stand up in front of all the fantastic businesses in Wandsworth to collect our awards and we couldn’t ask any more of our team. Every day they go above and beyond for our customers. 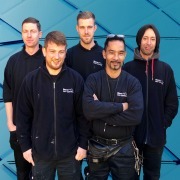 So what does it take to be the best pest control company ? On the evening of the awards two of our team were working until 3am removing an infestation of False Widow Spiders from a school building. The job came in as an emergency the day before and we mobilised a team to carry out the work on the Friday evening. The two man team worked for 8 hours, hovering, sweeping and then treating the infestation. Monica, Ozzie and Dave (pictured) have 53 years of service between them and we were pleased to invite them to share the celebration evening.Monica is part of our customer service team and has been with us for 19 years. She looks after our Estate Agent customers, booking jobs and keeping their tenants happy! There’s not much Monica doesn’t know about pests. Anther important part of Monica’s role is to pass on important information re proofing and repairs. Dave is one of our Surveyors, and joined Beaver 18 years ago as a technician. He worked his way up the ranks becoming a Service Manager and then joined the Sales team as a Surveyor. Dave looks after some of our largest customers and is a specialist in British Retail Consortium and Soil Association customers. Ozzie, joined us 16 years ago and like Dave started as a technician. He is now one of our most experienced managers with a team of 7 techs. Ozzie is our go to manager for cockroaches and bedbugs and has bags of experience. Without people like Monica, Ozzie and Dave we certainly wouldn’t be the company we are today.